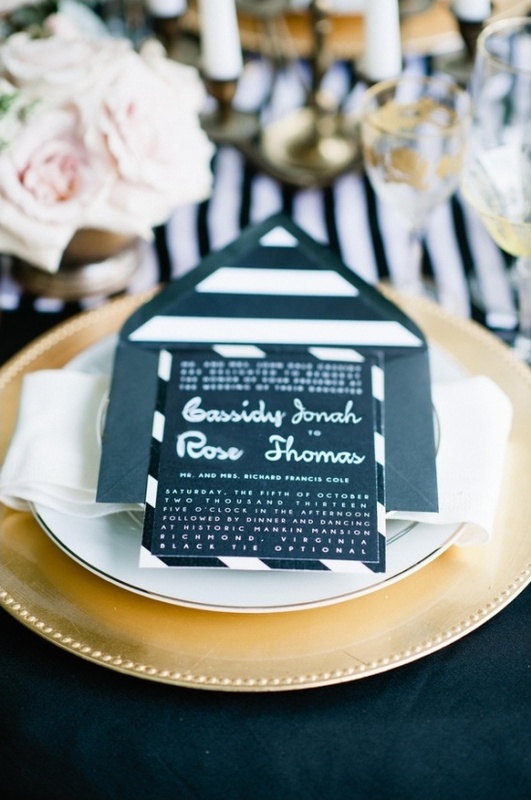 This dramatic wedding inspiration is the result of the collaboration of some amazing vendors! 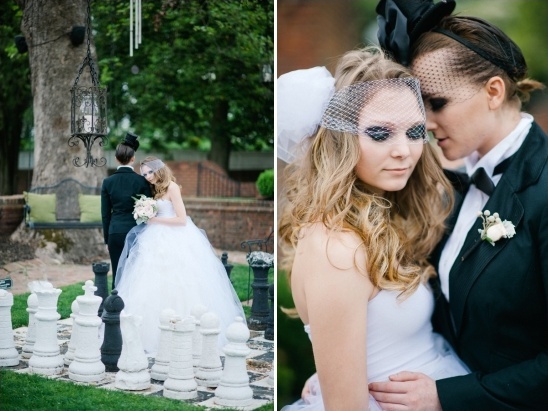 Using the gorgeous grounds of the Historic Mankin Mansion as a backdrop, this styled photo shoot is full of theatrics from the exaggerated makeup to the spectacular photography to the stark black and white color palette. 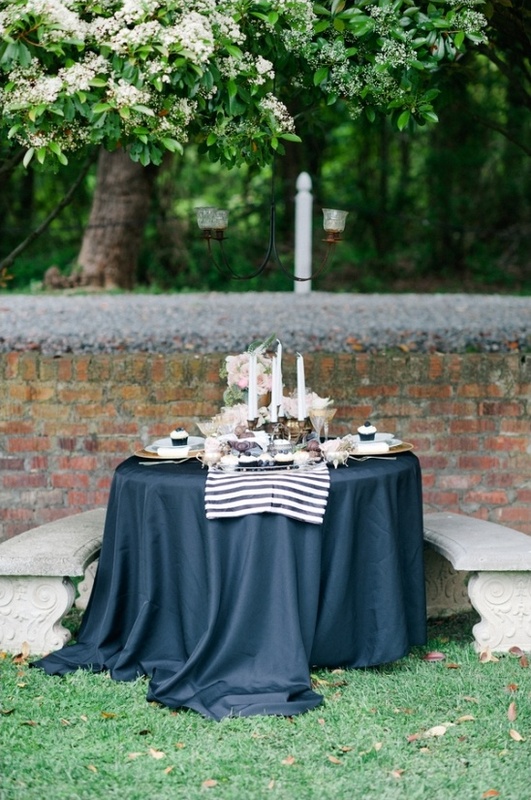 Don't miss a single bold detail from this dramatic black and white wedding inspiration by visiting the full gallery here, all magnificently captured by Kimie James of IYQ Photography. 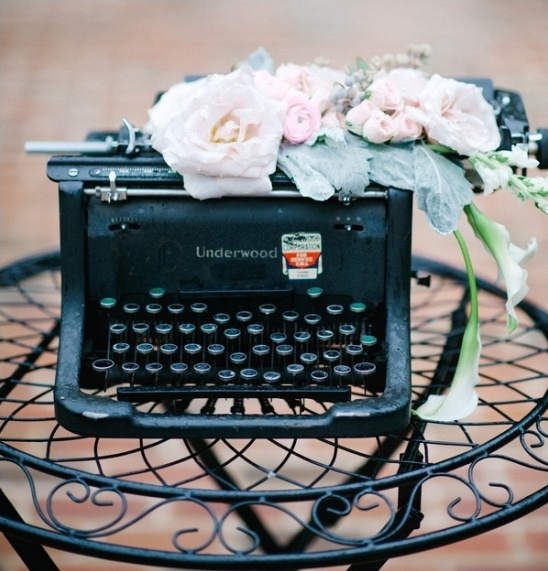 From Kimie James of IYQ Photography:With the summer upon us, we wanted to have a little fun with this inspiration. 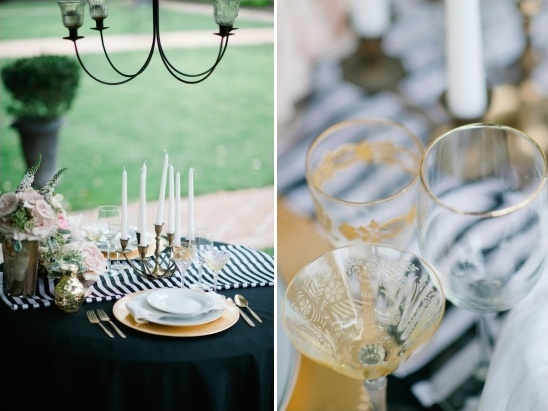 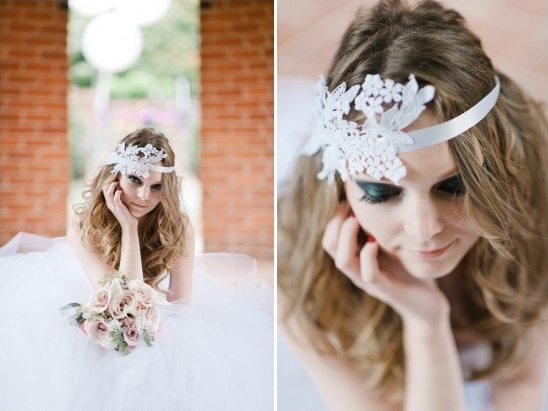 We were inspired to create this black, white and gold two brides shoot. 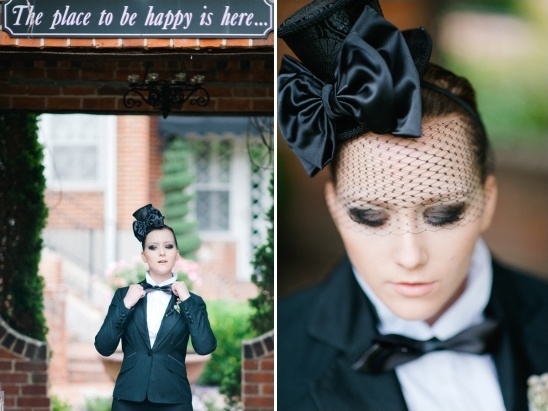 Our friends at Mankin Mansion were wonderful to let us use the beautiful setting of their historic mansion as the backdrop for this shoot. 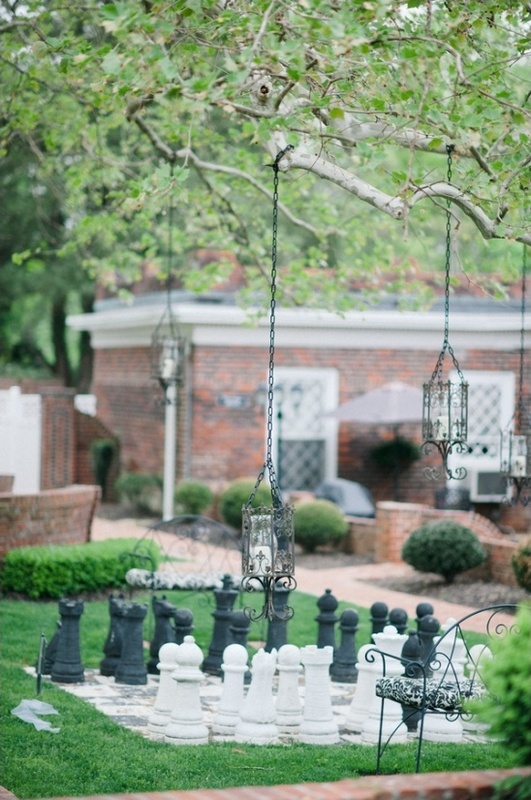 There's something about the mansion that is a little offbeat in itself and want wanted to play with all of the overgrown ivy, wrought iron metals, exposed brick and of course their over sized chess board. 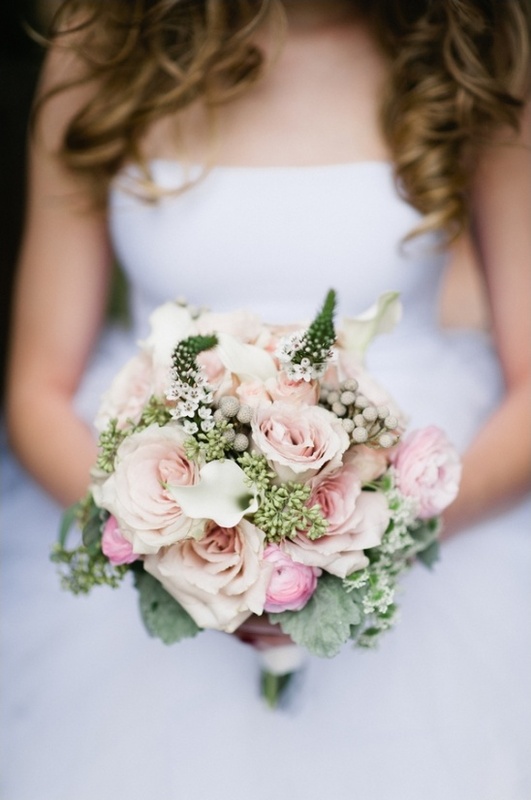 We also wanted to give our couple a little extra something. 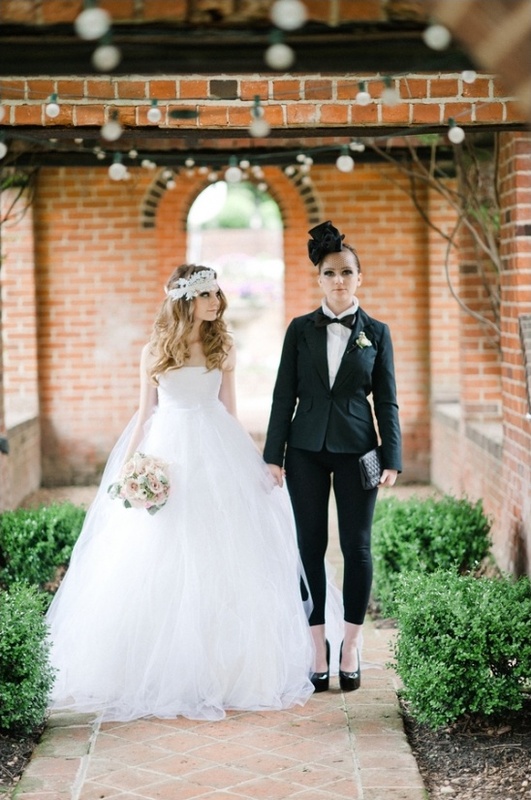 The bride wore a custom made wedding dress by me :), while our other bride wore a fitted femme tuxedo. 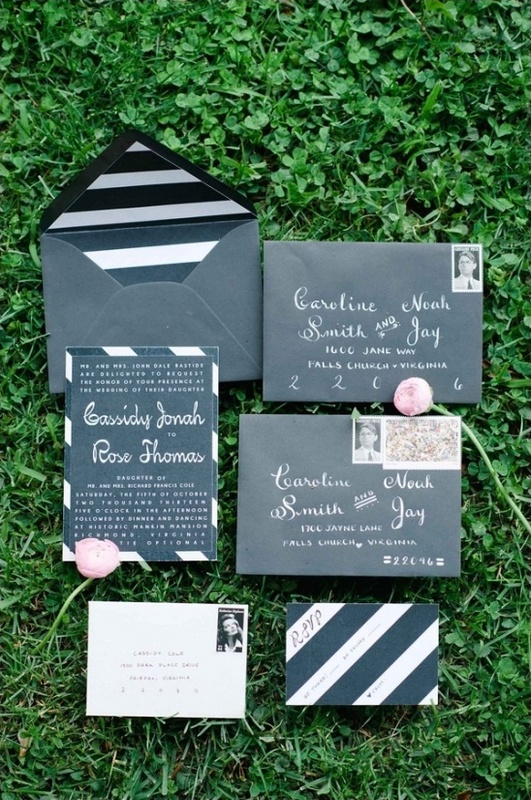 We wanted to create something that would inspire and dazzle. 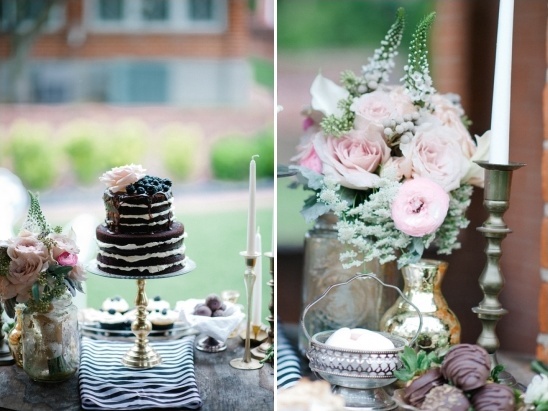 Kimmie wanted to incorporate the rich hues of raw brasses and golds with the flavors of coffee, chocolate and blackberries and did so with the tablescapes and desserts. 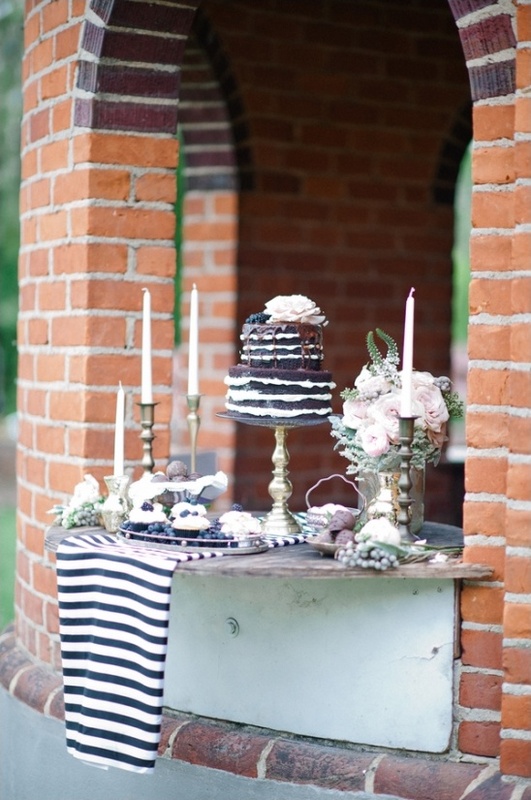 How elegant and delicious does this dessert table look? 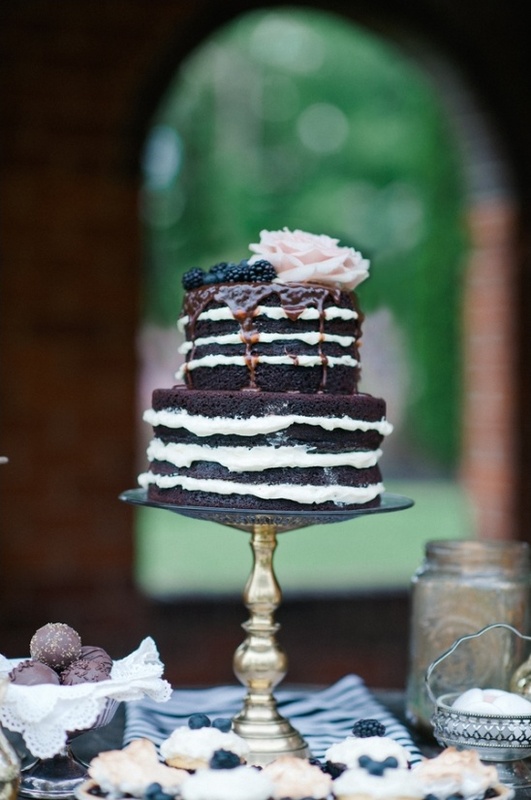 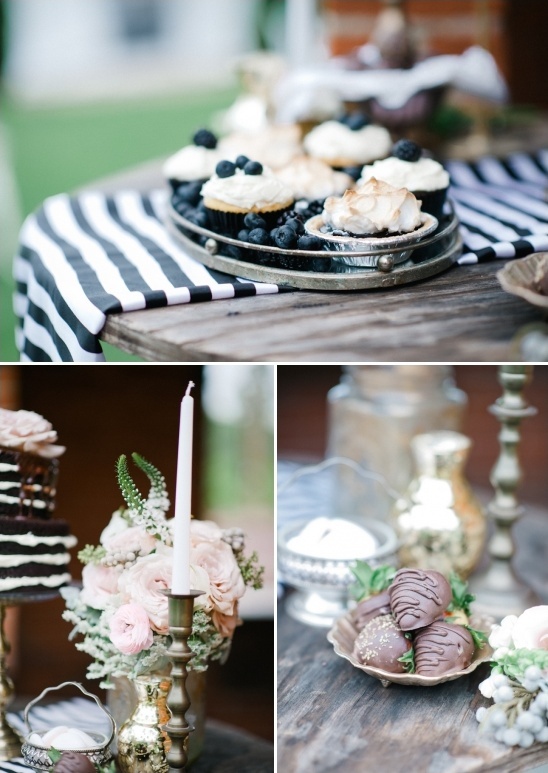 With the decadent naked cake, blueberry topped cupcakes and chocolate dipped strawberries this table of sweets oozes drama and elegance.